How To Make Money with Amazon Native Shopping Ads - Web Technical Tips - Full Information About Internet ! 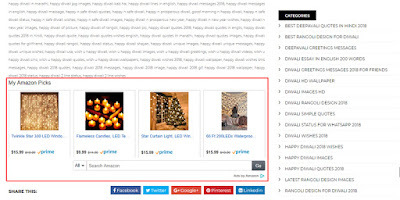 As an e-commerce giant, Amazon always does different from their competitor and always take care of their publisher to earn money with the online product. 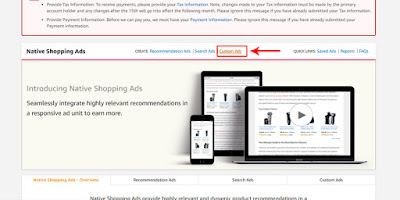 If you tired with low paying advertisements & you're online earning very less with your blog, then you should try Google Adsense Alternatives Amazon Native Shopping Ads, from the help of this platform you guys earn a lot of money. But the condition is, you have a niche blog and major traffic from the USA. If you fulfill these criteria then you can't imagine about your earning. 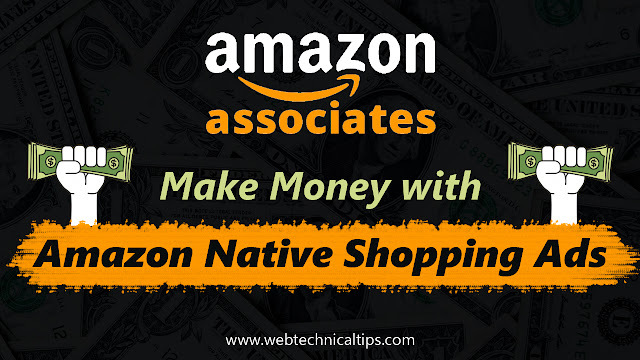 Amazon has so many ad formats but in this post, I am talking about Amazon Native Shopping ads, for this platform you guys monetize your blog and earn huge commissions with every sale. All About Amazon Native Shopping Ads & how they work? Remember: Amazon pay for both, direct sale and referred sale. 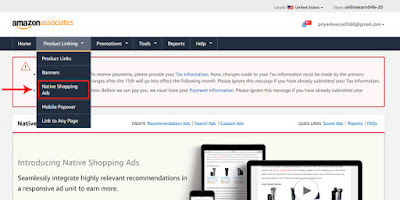 John Click on your ad (Native Shopping Ads) and redirect your site to Amazon.com, Now if they purchase a product with the same link then amazon give me a commission (depending on category) and if they not purchase direct link product but buy another product from Amazon.com then Amazon also give me a commission. so you have a niche blog and you target product as per your category then your conversion rate is much higher than another e-commerce platform. 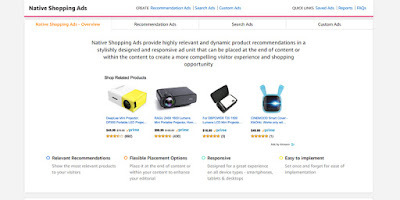 Recommendation Ads: This type of ad automatically recommend best-matched ad as per your content & Your Audience on Blog. 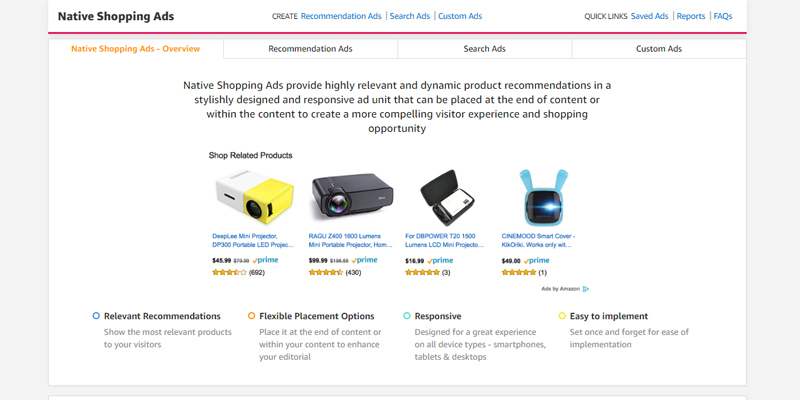 Search Ads: This type of ad allow you to drive recommendations based on your or your audience. 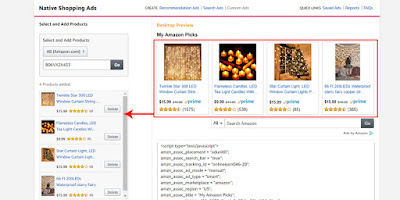 Custom Ads: This type of ad is totally in your control, you can select any product from Amazon.com that you want to promote. First create your Amazon Associates Account, if you have already account then started right away. 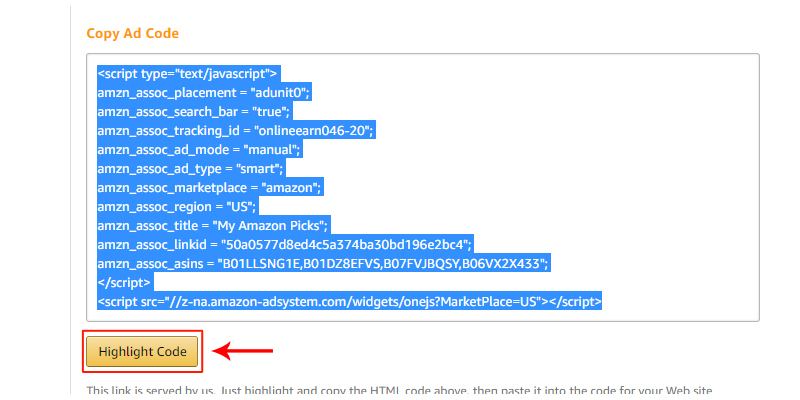 Simple click to given link and login to your Amazon affiliate account, when you redirect to Dashboard then hover your mouse to Product Linking Menu. Where you see Native Shopping Ads button, Just Click them. Once you click Native Shopping ads you see there are three types of ads, already explain above about this ads. Now, this in this tutorial I cover Custom Ads. so click on Custom ads button. Now you see some option to customize & add a product to your ad. there is three ad format like Grid, List, Strip you can select one option as per your choice. 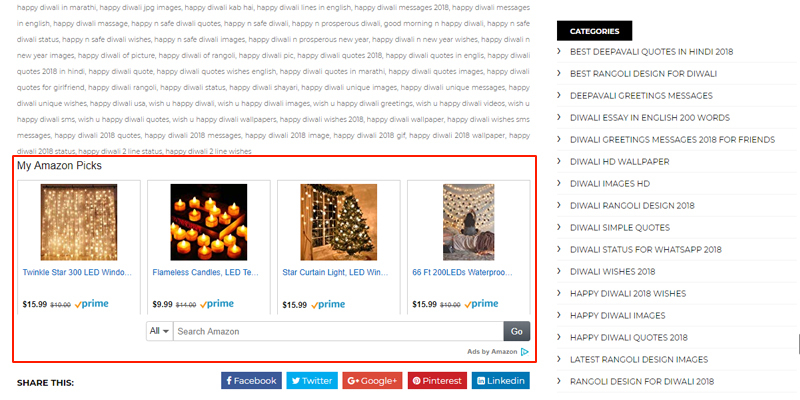 After that, you add your selected product as per your niche or category. 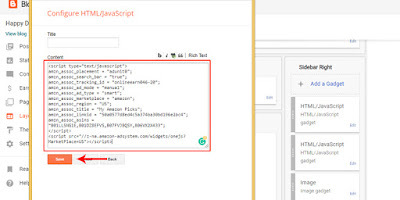 Minimum 4 product require to generate ad code. 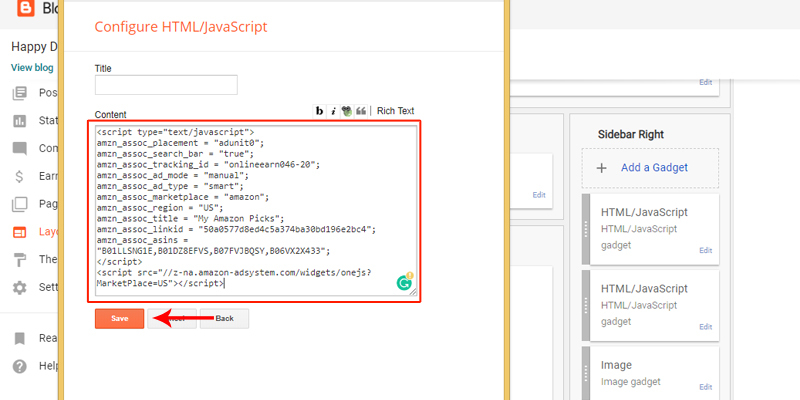 Once you add your all four product then you can preview your ad format, how your ad display in your blog. you can also customize them like search bar add or remove. 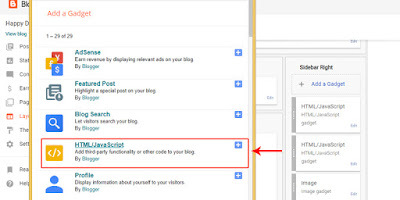 after that, you copy your ad code and paste it to your blog or website where you want to add Native Ads. At Present Mostly Blog hosted in Blogger or Wordpress, the process is the same for both platforms. so I cover with blogger platform. 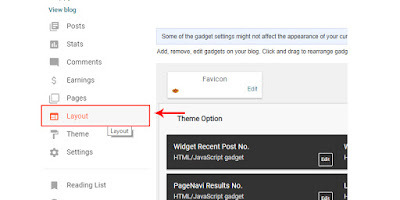 Just log in to your blogger account and at left panel clicks on Layout Menu. Now Just paste add code into Content Area and Click Save Button. Now click on save arrangement button on top of layout page. 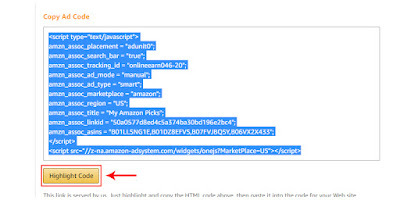 Now your ad placed and Monetized your blog with Amazon Native Shopping Ads. 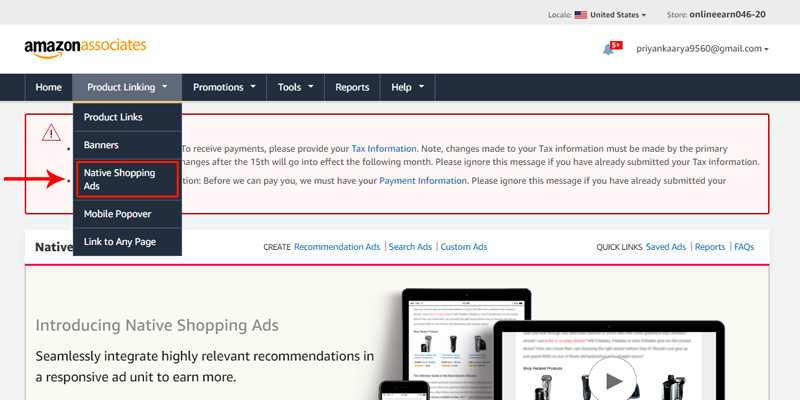 The same step follows on WordPress website. Here you can select a Widget option and insert Custom Html after that past code and your ads live on WordPress website. 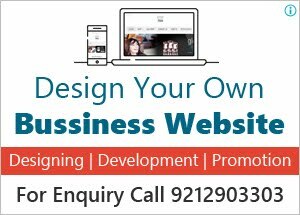 If you are using Wordpress then your work is easy. 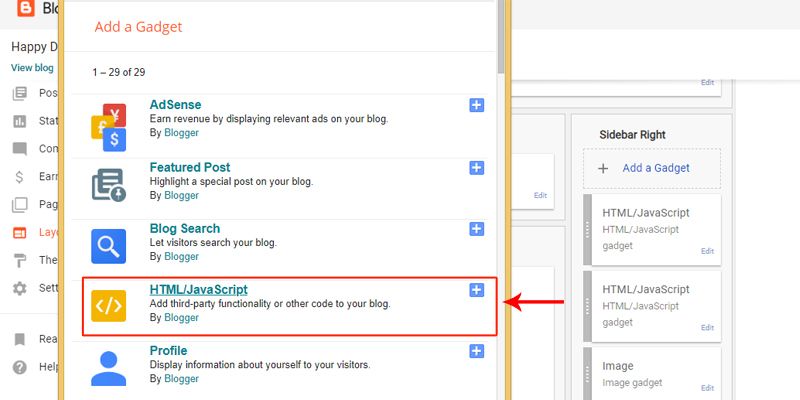 You can use Ad Inserter Plugin, which is free and allow you to insert ads anywhere in the blog.